With over 93,000 attendees from 200 countries, Mobile World Congress 2015 was a record-breaking event. We spent the whole week at MWC exhibiting at the App Planet hall, welcoming visitors and giving them a tour of our products and platform. We also gathered some great market insights from discussions with our customers, partners, and visitors, as well as from the conference sessions – here are a few of the highlights! Programmatic continues to gain strength: The automated buying and selling of mobile advertising is largely data driven. We’ve heard from demand partners that unique data is becoming more and more relevant for targeting. Accessing first party data to segment and deliver a personalized experience is essential for DSPs, not only to engage their audience, but also to achieve higher ROI. 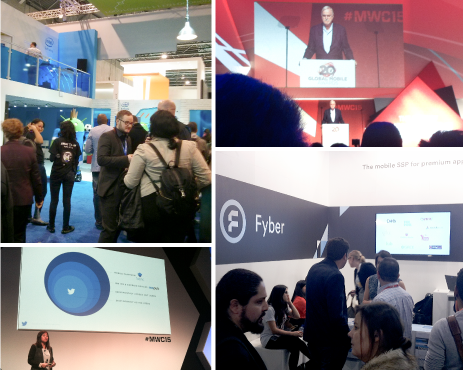 We took the opportunity of our presence at MWC to announce our open beta for Fyber’s Programmatic Exchange. We’re excited to offer a transparent, OpenRTB-based exchange that enables advertisers to bid directly in real time on premium in-app inventory. 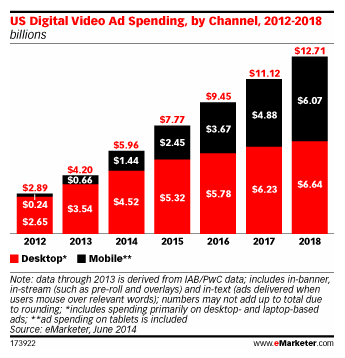 2015 will see continued growth in mobile video advertising: eMarketer projects an increase of 70% in digital video ad spending on mobile. As advertising budgets shift, this growth will be bolstered by improved audience targeting, retargeting features, and programmatic buying capabilities. Measurement standards, such as viewability metrics, will also give advertisers the transparency they were once lacking to measure the performance of their buying strategies and identify the best-performing channels. User acquisition strategies are evolving as advertisers shift focus from volume to quality users: By using retargeting features and valuable data collected from tracking providers, the focus is on running optimized campaigns to drive strong ROI. Developers also had the opportunity to gain an overview of the latest tools like Yahoo! Mobile Development suite and Fabric by Twitter. These developer suites include tools ranging in focus from ad monetization and advertising solutions to app monitoring & reporting tools. In case you missed our team at MWC, we hope you’ll keep in touch at an upcoming event. Our team will be attending Programmatic I/O and sponsoring ad:tech San Francisco, so if you’d like to set up a meeting, please contact us at [email protected].